When most teachers have to deal with a classroom full of rowdy kids, they threaten detention or a trip the principal’s office. One teacher decided to take a more creative route, and it reportedly worked like a charm. Reddit user BasiaVu posted the image below to the site’s /r/funny board Tuesday. 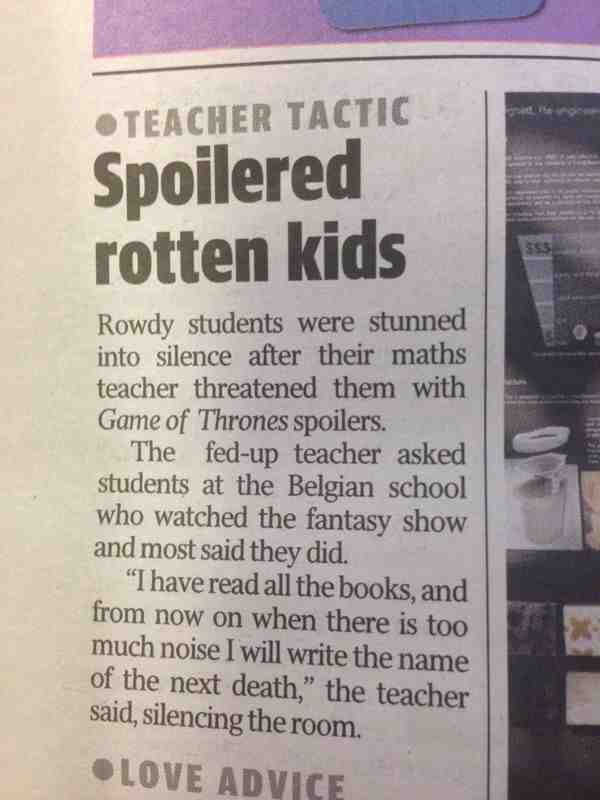 Teachers and parents: do you think this would work on your kids? It may be worth a try!